Mzala Nxumalo Centre presents Crossroads... Omar Badsha; Cedric Nunn and Rafs Mayet featured in The Art of Activism, a joint exhibition and public dialogue as part of the Mzala Week of events. The opening event of Mzala Week – themed Crossroads – on June 11 from 17h30 to 20h00 is a photographic exhibition and public discussion at the Durban Art Gallery entitled The Art of Activism featuring works of three of the country’s most respected photographers and social commentators: Omar Badsha, Cedric Nunn and Rafs Mayet. The Mzala Nxumalo Centre for the Study of South African Society (MNC) is hosting a series of events for their annual Mzala Week taking place from June 11 until June 16, with events taking place in Durban, Pietermaritzburg and Johannesburg. As part of the opening session, Badsha; Nunn and Mayet will consider the role of “Art of Activism” in which they will be examining, analysing and unpacking the role of visual arts in disrupting societal narratives and mobilising social change and the changing role of the arts in our current context in South Africa. Mario Pissarra, artist, academic, curator, writer, editor and founder of SA Art Initiative, will open the exhibition and lead the dialogue. A self-taught, award winning artist and photographer. Badsha played an active role in the South African liberation struggle, as a cultural and political activist and trade union leader. He is the author and co-author of six books and since the mid 60s curated numerous exhibitions. His paintings and photographs have been exhibited locally and globally since 1965 and his works can be found in major public collections across South Africa and in leading galleries and institutions abroad. He is regarded by many as one of the leading and most influential anti-apartheid cultural activists, artists and documentary photographers in the country. He is the recipient of a number of awards for painting, arts, photographer and historian. Similarly, Nunn inhabits a similar space in the annals of South Africa’s archives: “I am committed through my photographs, to contributing to societal change that will leave a positive legacy for the children of Africa,” he explains. 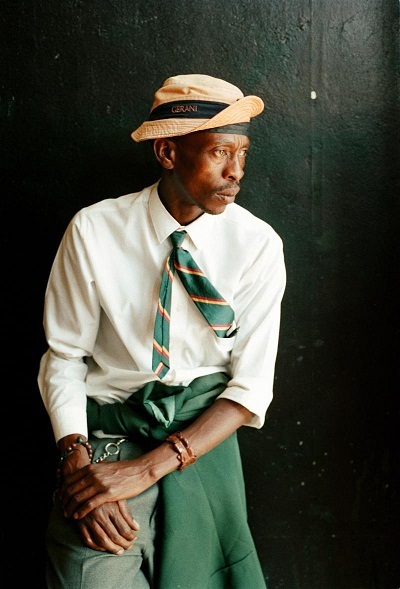 He began photography in Durban in the early 80s, his initial impetus being to document the realities of apartheid that he thought were being ignored by the mainstream media. He moved to Johannesburg and joined the Afrapix collective and agency working largely with NGO’s, his focus throughout has been on documenting social change, and in particular rural issues. He continued to work independently after the demise of Afrapix in the early 90s. Extensive work experience was gained in media such as newspapers, wire agencies, magazines, public relation companies through to corporate, and he has exhibited extensively, both locally and abroad, and conducted a myriad photography education projects. Fellow Afrapix photographer Mayet was taught the basics of photography by Badsha in the early 80s and he started working at the Daily Dispatch in East London and later at the New African in Durban and as a member of the Afrapix collective. He has since participated in a number of exhibitions. He worked for the Independent Electoral Commission during the first democratic elections in 1994, some of these pictures were published in a book called An end to waiting. He has also done an essay on Working Women for the Worker's College in 1995, which is still being used at union meetings and conferences. Mayet is still living and working in Durban and continues with his ongoing documentation of contemporary jazz musicians, whilst learning more about archival printing processes. Entry to the opening of the exhibition is free and all are welcome to the opening and public dialogue. The exhibition will be on display in the Circular Gallery for two weeks.